221′ of level, sandy lakefront beach. Ideal for children. Free Kayaks, paddleboats, canoes and row boats. 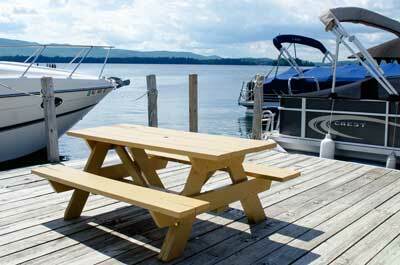 Boat launch available on site for registered guests. Two pools, both heated for your comfort. Covered pavilion, video games, and outdoor games. 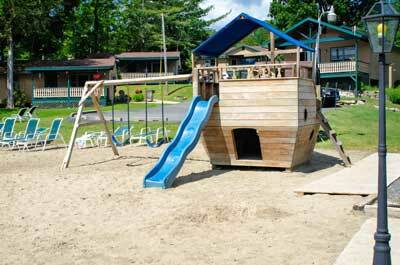 The Treasure Cove Resort Motel, with its prime location directly on Lake George, just 5 miles north of Lake George Village, is the ideal lodging of Lake George. In business since 1980, our units are modern, clean, and quality oriented with many conveniences. We have 50 units consisting of motel rooms, motel efficiencies, and 1, 2, and 3 bedroom cottages. Since so much of our business caters to families, our resort has plenty to do right on the premises. Enjoy swimming in one of our two solar heated pools, or spend a few relaxing hours at our nice sandy beach, enjoy our beautiful new sundeck, then perhaps take a kayak ride and see the lake. 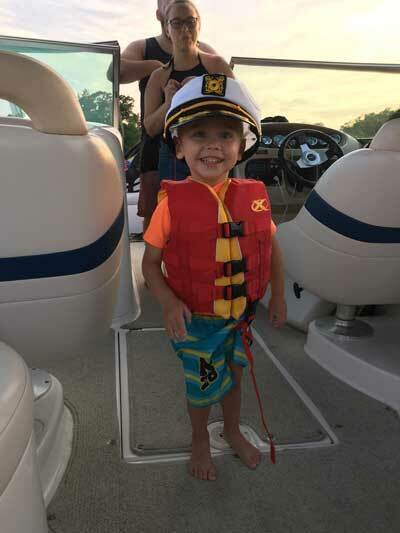 If you have your own boat you can launch it right on the premises free of charge and you can berth it right at our docks. How's that for convenience! The smaller children will love our fully equipped playground area with commercial grade swing sets, badminton, ping pong, shuffleboard, volleyball, basketball and video games. We would like to invite you to continue your tour of our facility by clicking your way through our website. When you're done we hope you'll give us a call so we can talk with you in person, or you can fill in our on-line Information Request Form and we'll forward you our full color brochure and price list. Either way, we look forward to seeing you sometime this season at our scenic Lake George lodging. 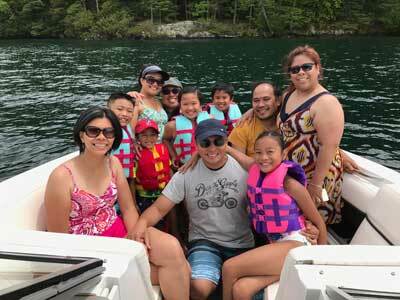 New in 2017: Treasure Cove is proud to partner with Bolton Boat Tours, the area's highest rated private boat tour company. 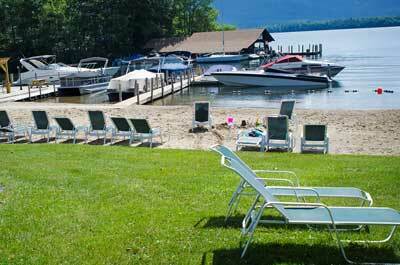 Now the best boat ride on Lake George starts at the best family resort! Pack a cooler and sit back and relax on an informative and exciting boat tour with a local captain. 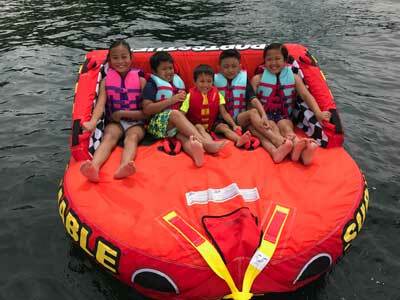 Activities include tubing, sightseeing, cliff jumping, fishing, exploring between the islands, and more. Learn about the history of the area and see the best of the lake. 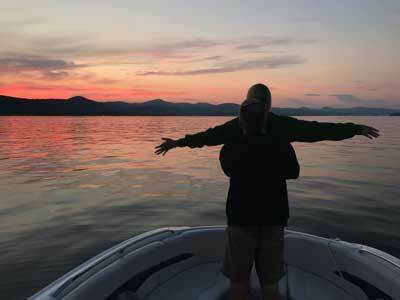 Visit BoltonBoatTours.com to begin planning your perfect boat tour on Lake George. See you on the water!